My Christmas crafting is going well and I am going to be glad to see the ends of these two pairs of socks! I have about 3cm to go before I can start on the toe cap - yay! All things going as intended these babies will be finished by next week. 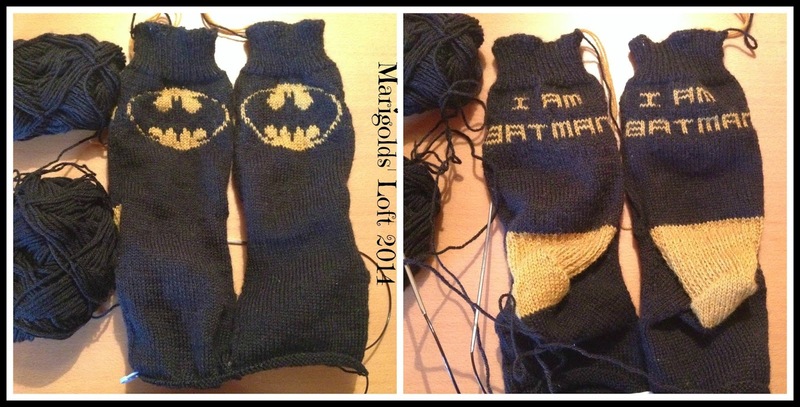 Hubby's socks have also been worked on. I am just about finished the heel decreases and then I will be trying to knit the feet at lightning speed! I have also managed to finish another "Extra" project which I will share with you on Friday. The Scarf on my loom is almost done and I am hoping to bring that project to it's conclusion this Friday. As for the mandrakes, I have started on the arms and legs and hope to have them finished shortly too! I still have a couple of projects that I would like to see under the tree and I am hoping I will have enough time to complete them. In-between all the festive creations I have many Christmas orders for my soaps and hubby has become my employee of the month ;) He comes home each day with bigger and better orders, which is awesome and keeps me on my toes. Reading Wise: I have got my copy of the Beekeepers Bible which I am thrilled to have in my possession. I have some really good german books on the subject but it is nice to have a book on beekeeping in my mother tongue! 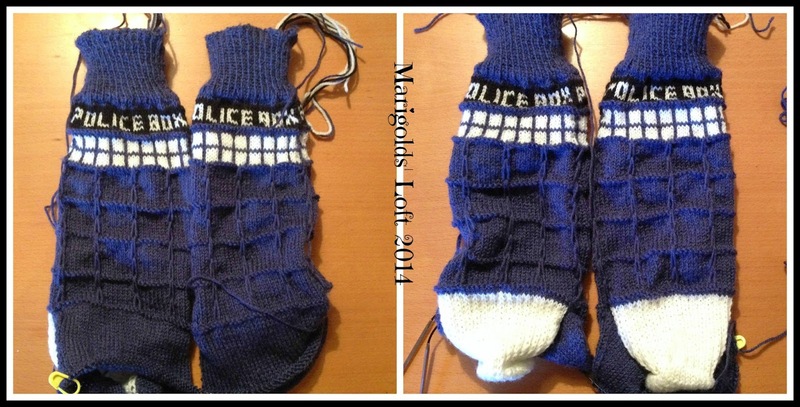 My husband would be so excited to have those tardis socks...unfortunately I can't support his obsession with Dr. Who any further ;-) Very cool though! Luckily we can't get too much of that stuff here so there isn't too much of an overload of the Doctor around - which is awesome, makes the socks a definite winner - I hope! Both pairs of socks are just lovely!